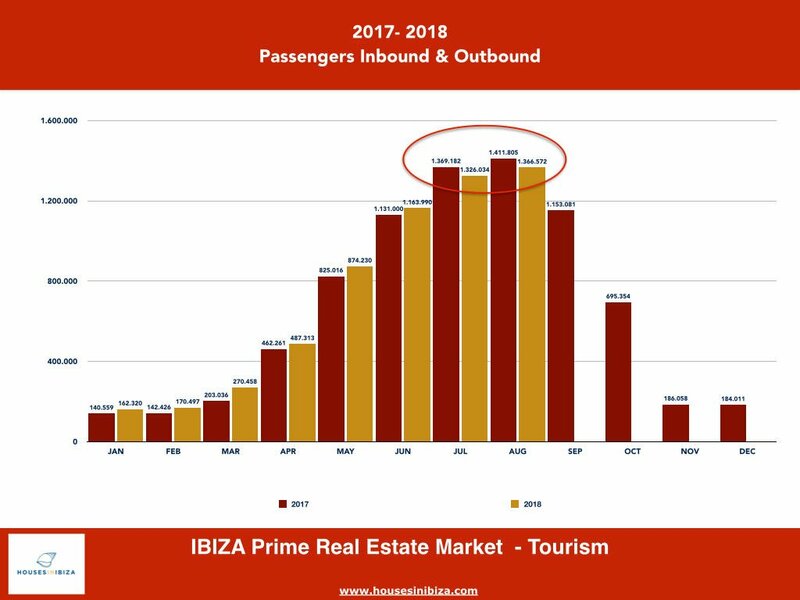 As the season winds down and Summer slips into a balmy Autumn, it is a good time to reflect on the season and what may be happening in terms of the Real Estate Market in Ibiza. 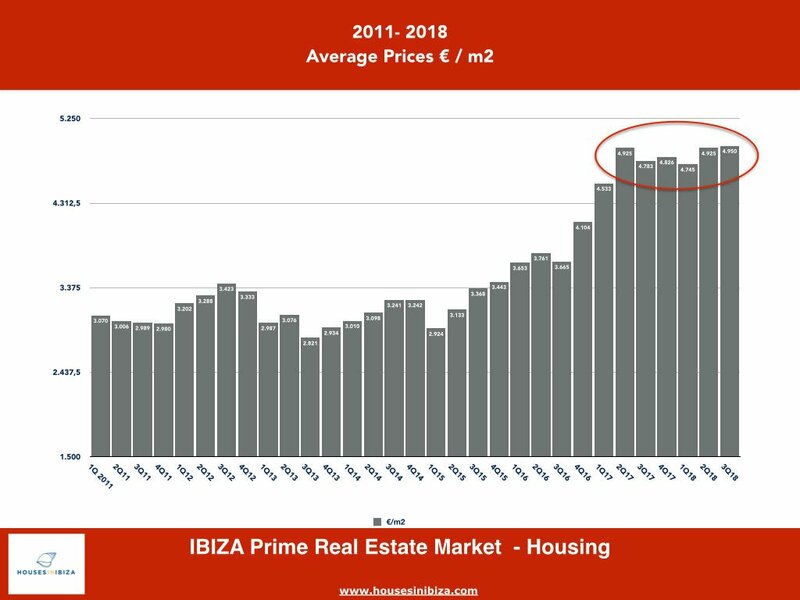 I think we are at a very interesting point for the island of Ibiza. This ever changing, magical place is shifting yet again. And I am very excited about what is happening! 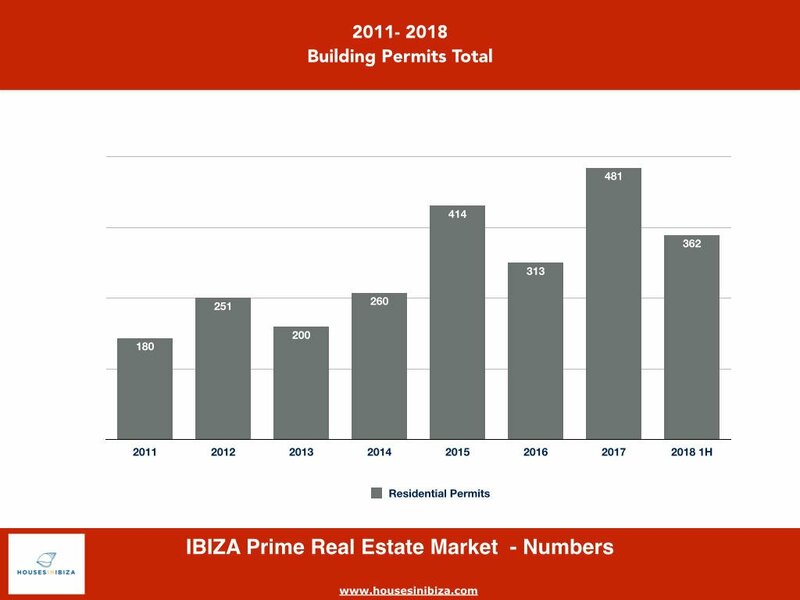 What does this mean in terms of the Ibiza Real Estate Market and pricing? 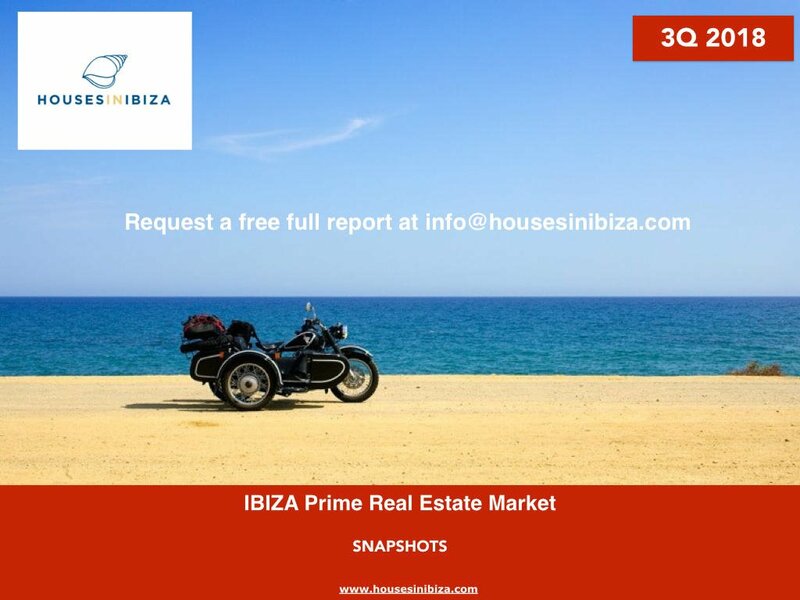 -More properties than ever on offer almost double the offer there was 3 years ago. 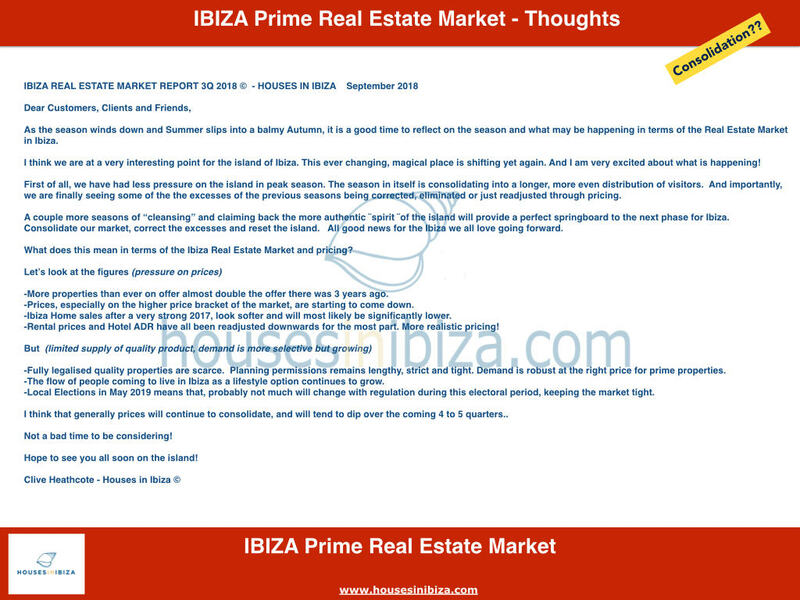 -Prices, especially on the higher price bracket of the market, are starting to come down. 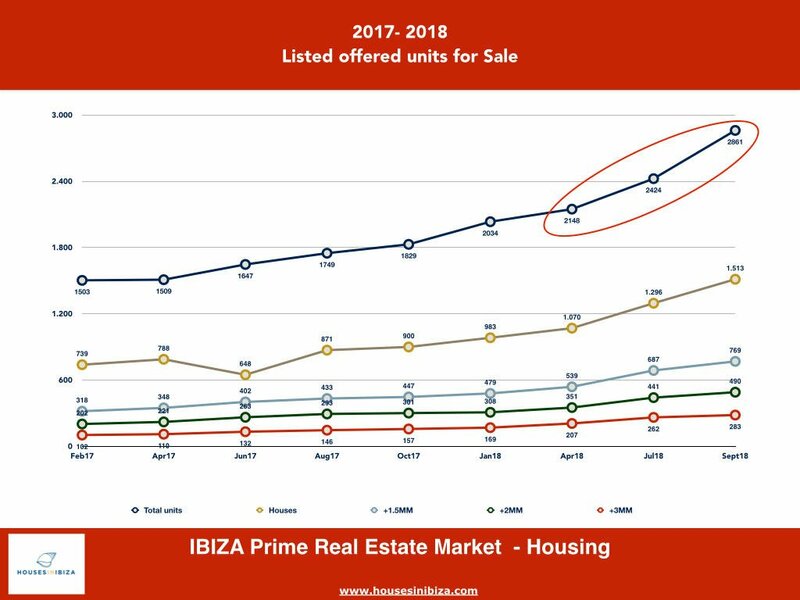 -Ibiza Home sales after a very strong 2017, look softer and will most likely be significantly lower. -Rental prices and Hotel ADR have all been readjusted downwards for the most part. More realistic pricing! -Local Elections in May 2019 means that in, probably not much will change with regulation during this electoral period, keeping the market tight. I think that generally prices will continue to consolidate, with prices softening over the coming 4 to 5 quarters.